--This listing only applies if you have purchased an item(s) from our shop. It ensures you will be bumped much closer to the front of the line. --This does not guarantee that your item with be completed in one day. If you need something done immediately, please contact us so we can determine all aspects of our scheduling, ranging from graphic design turn-around time to the printing schedule. 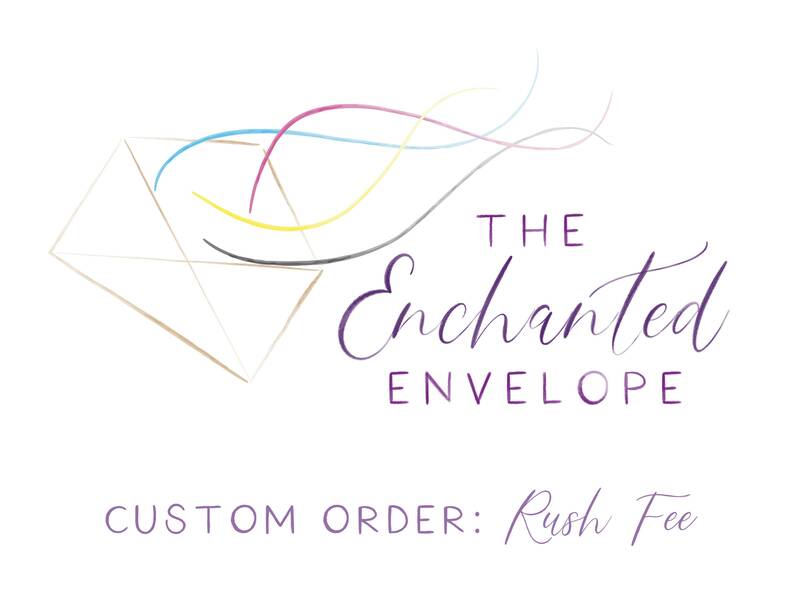 --If you are purchasing more than one item from our shop and need a rush fee for multiple items, please contact us for special pricing and possible a custom listing. --There is also a small additional fee for shipping to ensure we ship the fastest method possible (not including overnight shipping). If you absolutely require overnight shipping, please send us a message.